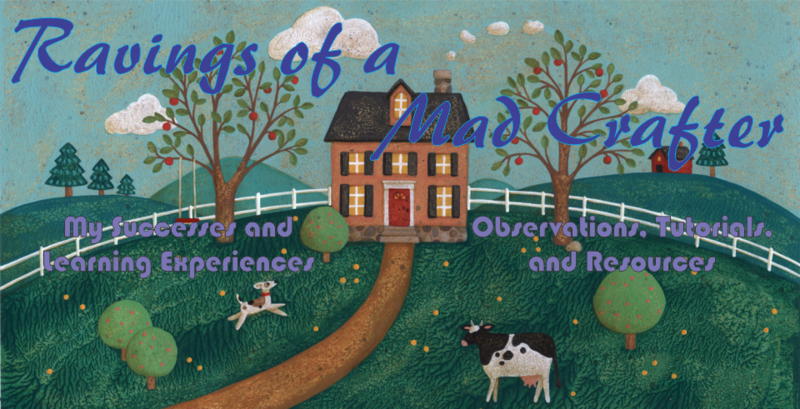 Ravings of a Mad Crafter: Thank Goodness the County Fair is over! Thank Goodness the County Fair is over! I must admit that the Santa Barbara County Fair wasn't that fun for me this year. My entries were only small ones but I think they came out nice. Unfortunately, as usual, some of the entries were lost in the house only to be discovered after the fair. So there has been a lot of organizing of the craft room which is actually stretches across the entire house right now. 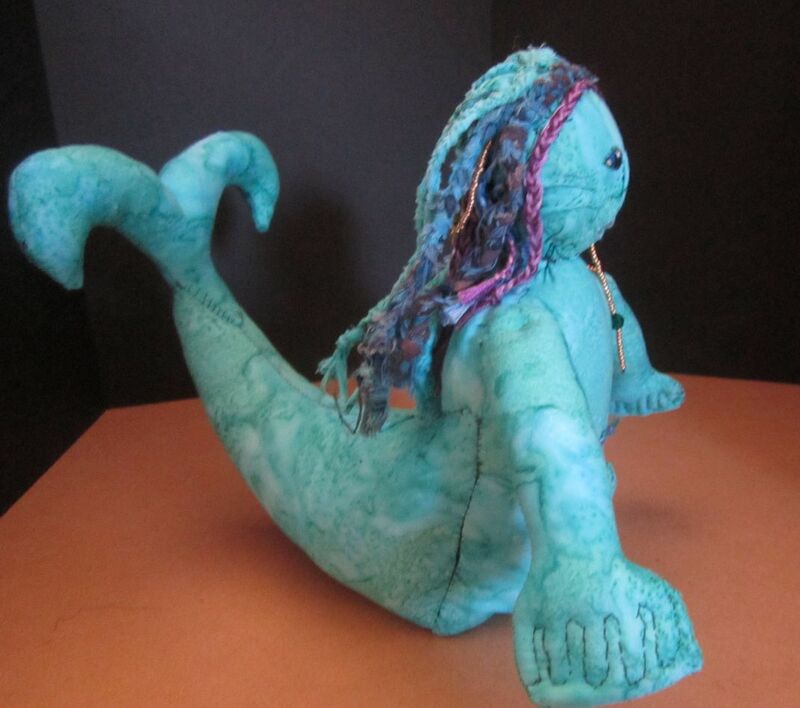 Merdoll took third place at the Santa Barbara County Fair. Of my few entries, I liked this doll best. 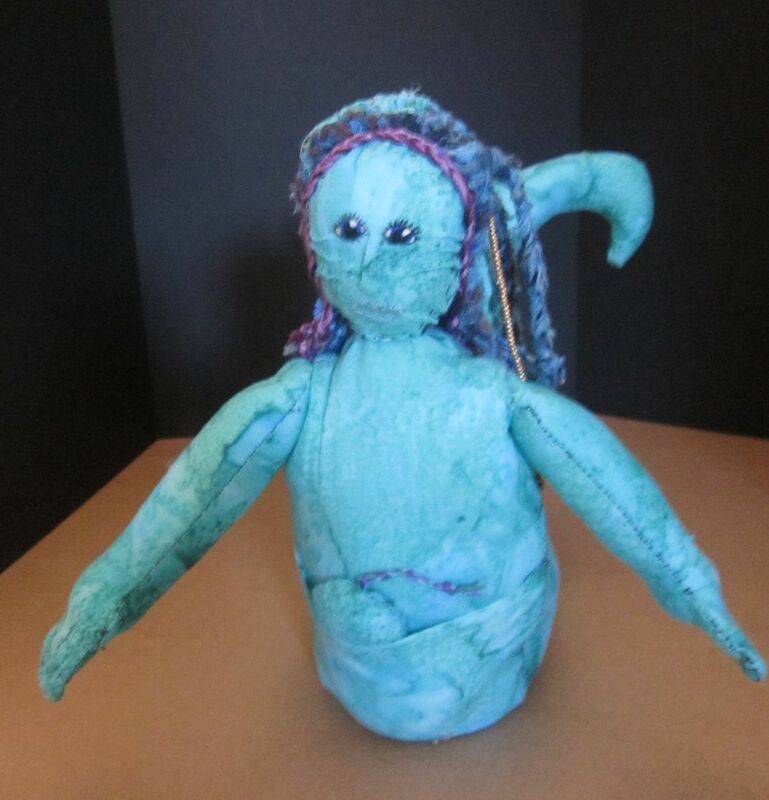 I'm calling this a Merdoll, because it lives under the ocean. 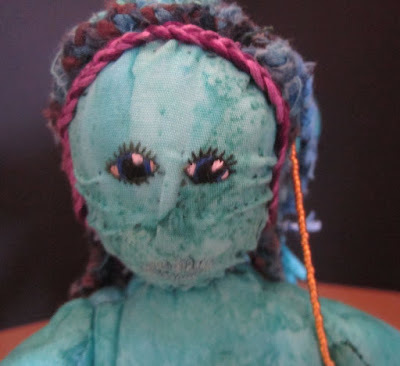 It was made using batik fabric in ocean colors. 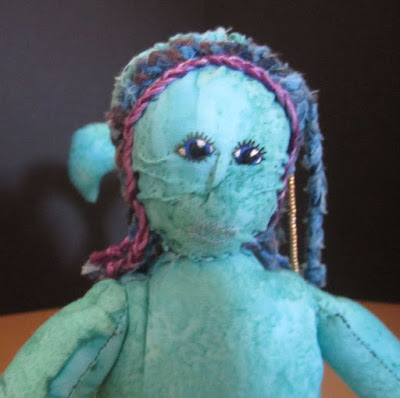 The doll has only a vestigial nose and the side of the dolls face has gills. Close up of merdolls face. 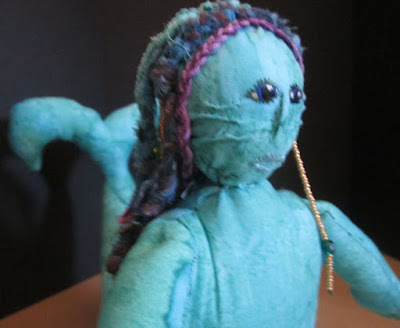 Side view of Merdoll, showing hair braids and webbed hand. It is hard to see but the Merdoll has a pouch with a tiny baby. I decided that Merpeople have pouches like seahorses. The top of the baby's head with a small braid is all that is poking out of the pouch. 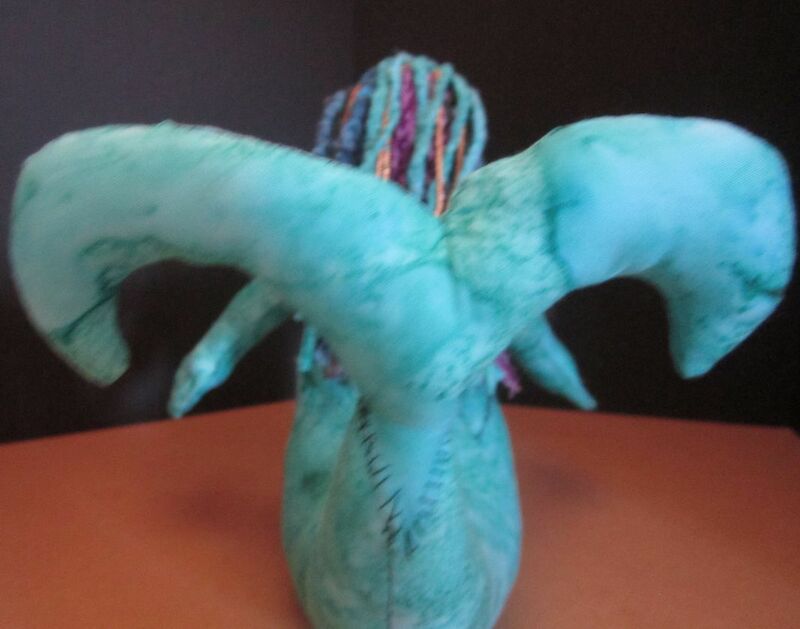 The tail is supposed to to be whale like. At first I was going to just have elongated legs with webbed feet. But Lee suggested whale tail and picked out the fabric. I think the tail really makes the doll. 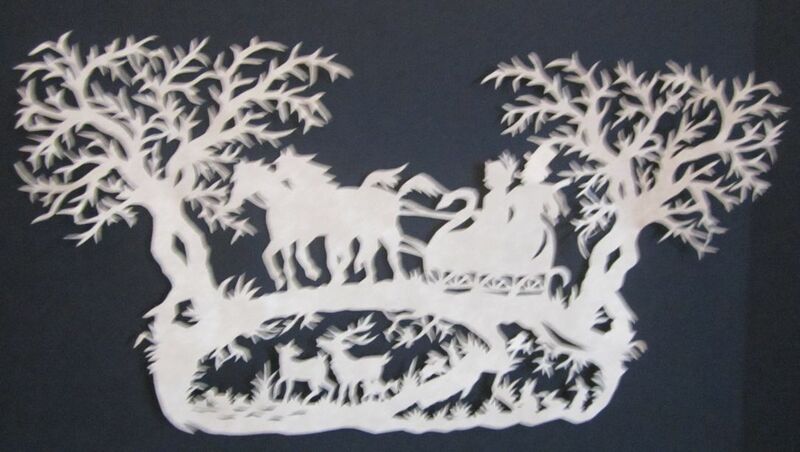 Paper cutting entry this year was a Christmas sleigh ride the pattern was made by Alison. Christmas Scherenschnitte pattern by Alison, took first place at the Fair. 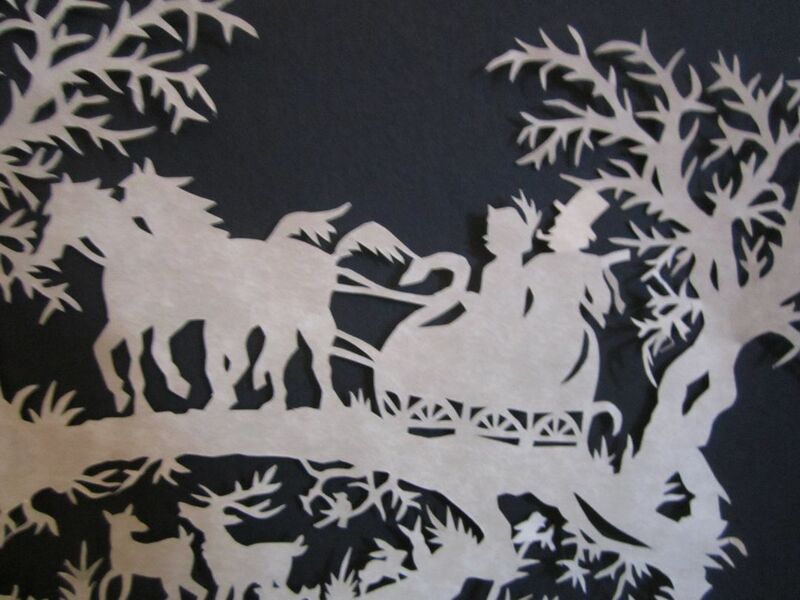 Close up of Christmas cutting. The people on a sleigh ride while the hidden world of nature is below them. I only entered 5 pieces of work this year and I haven't shown the others because they will be gifts. Next year I am trying for 10 entries and have already started on a basket made from recycled t-shirts. With a little luck I will make the basket a tutorial. I hope that everyone will want to enter their fairs next year. Count Fairs are part of the American culture and it would be a shame to lose the Home Arts.